FINCA serves more than 100,000 clients in the Eurasian country of Georgia. Sixty-two percent of these borrowers live in rural areas, and many work in agriculture to earn a living and provide for their families. A farmer in Georgia previously had to apply for agro loans and crop insurance at separate points in time and with separate institutions. Those with limited means were often financially excluded. Farming is seasonal by nature, which puts strain on farmers working to pay off debt prior to harvest. Agricultural activities rely on favorable weather. This creates risk beyond a farmer’s control. 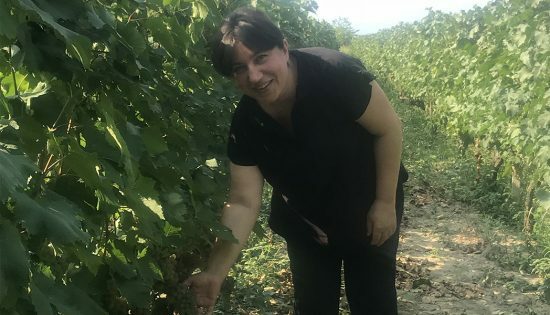 By offering a one-stop solution that is designed for smallholders, requires no repayments until the agricultural business generates an income, and bundles agro loans with crop insurance for risk mitigation, FINCA is helping Georgian farmers become unstoppable. 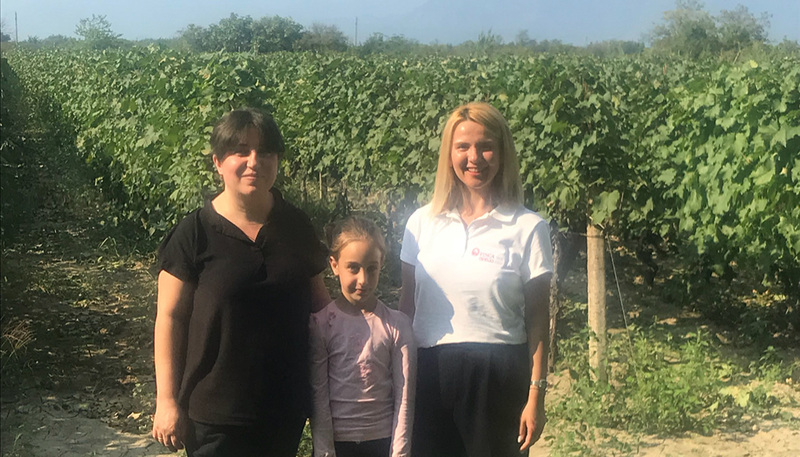 FINCA Bank Georgia client Tea Lakobashvili (L) with her young daughter and a FINCA employee. Applying for the loan wasn’t complicated. The process was really fast. I am glad that this product exists because as a farmer, it gives me the security and peace of mind knowing that I am covered if a natural disaster strikes my vineyard. I feel so much calmer now.